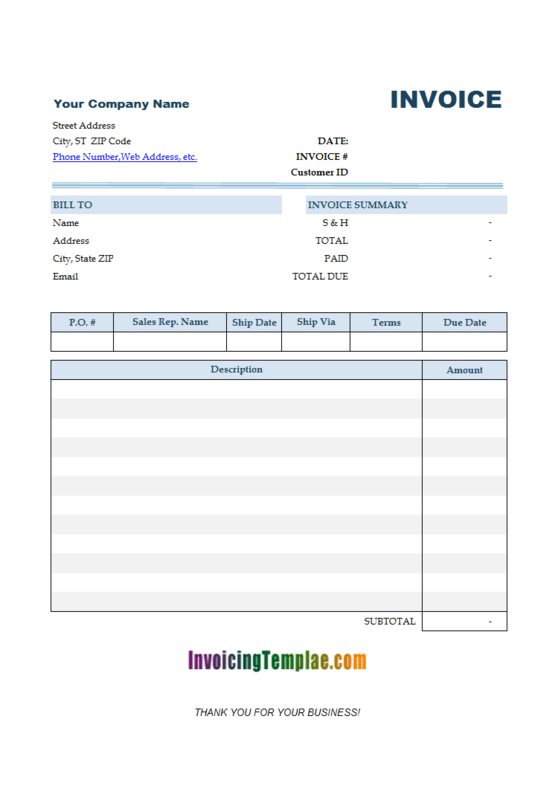 Excel Export Invoice Template is a sub-topic of Excel Invoicing Templates . 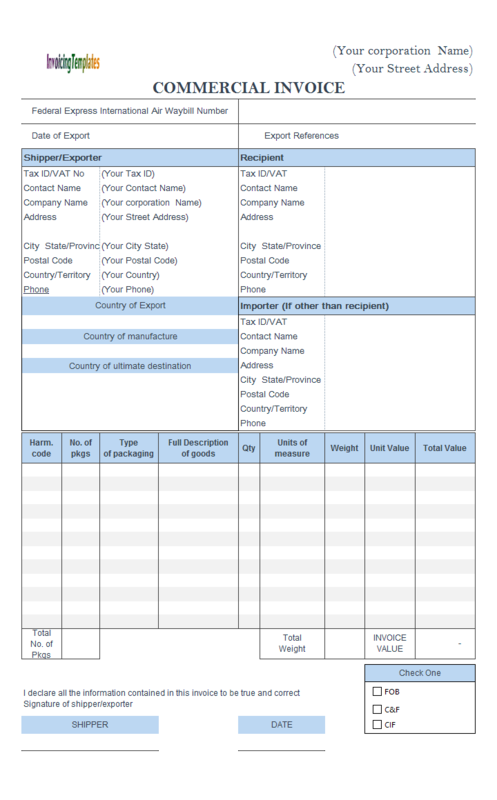 Here are our templates closely related to Excel Export Invoice Template. While you can find many commercial invoice formats on the Internet, most of them are PDF documents which require a PDF editor program to work with, such as Adobe Acrobat. And if you have number to calculate on the invoices - surely you have on an invoice - it is hard to automate the process with PDF format. Here, you see one of the important advantages of Excel spreadsheet templates - it is very easy to do such calculation (make the calculation automated) in Excel sheet with formulas. For example, in this implementation, the total number of packages, the total weight, freight, total invoice value and value of each line are all calculated automatically. 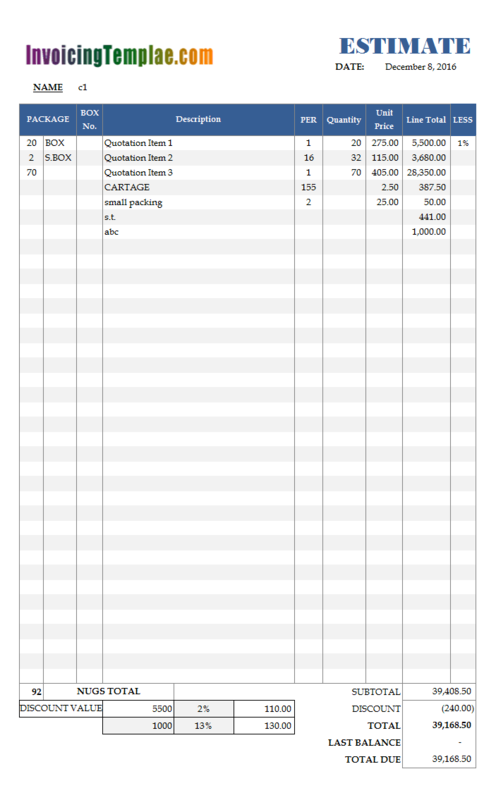 And, Microsoft Excel is now able to generate PDF invoices too. 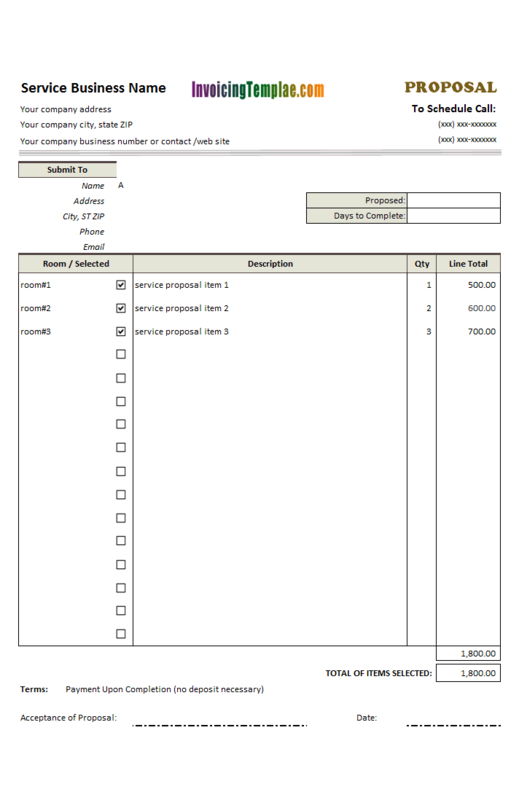 If you have installed Invoice Manager for Excel (namely Uniform Invoice Software), generating PDF commercial invoices can even be done with a single click of mouse. 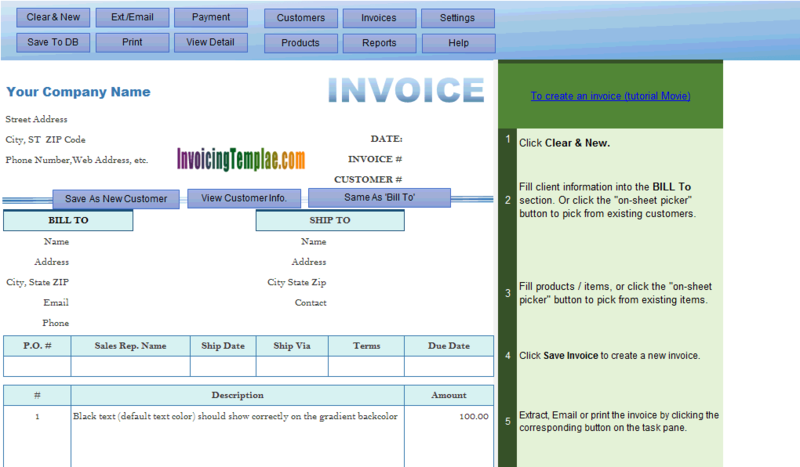 Here you see another key advantage of Excel invoice templates (all templates here on InvoicingTemplate.com are firstly published in Excel format - most in xlsx format, and some of them in xls format) - they work well with Invoice Manager for Excel (namely Uniform Invoice Software). If you want to create electronic invoices - the paperless way of doing invoices, Invoice Manager for Excel (namely Uniform Invoice Software) will help you done the job with easy. 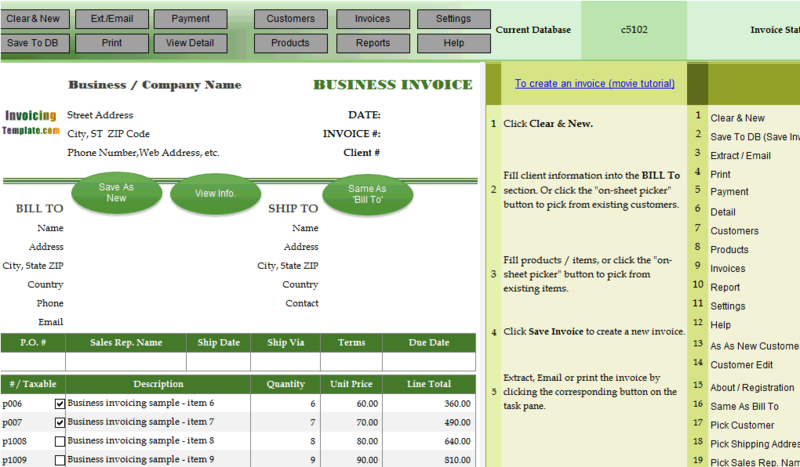 Note that the "Invoicing Templates" image on the top left corner of the invoicing form. This is a place holder of your own logo image, or you can delete it if you don't need. To do this, you first have unprotect the spreadsheet and switch to design mode. 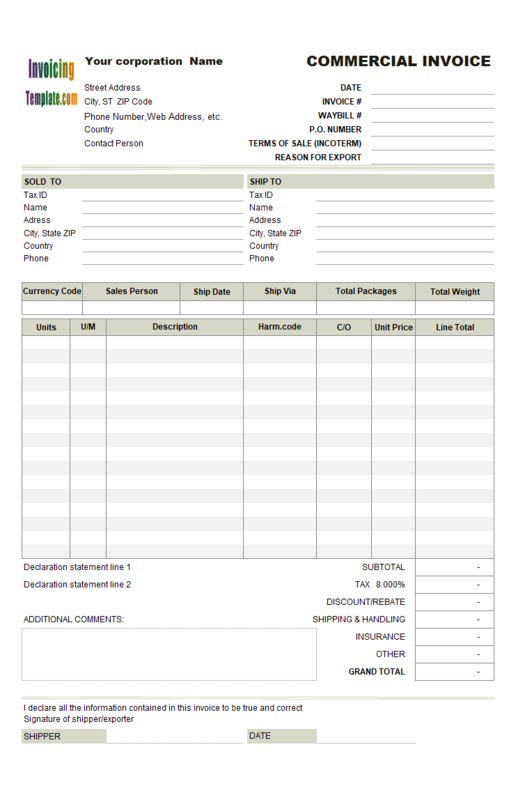 While there is no standard format for a commercial invoice, customs agencies typically require that certain information be presented in clear and easily legible way. 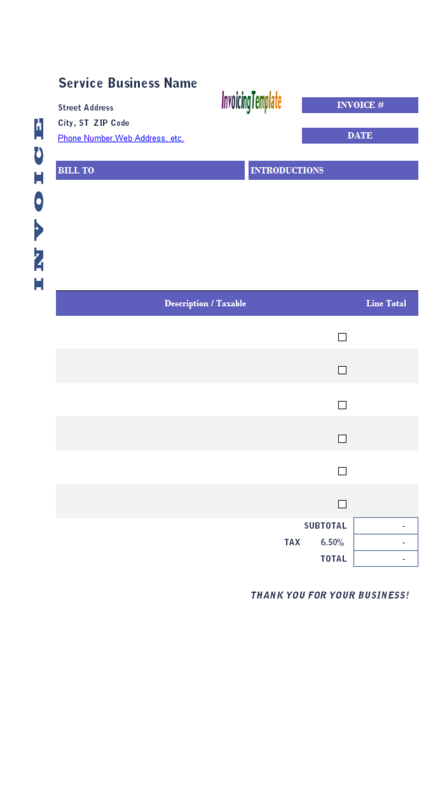 We've already provided some samples here on InvoicingTemplate.com, like Free Commercial Invoicing Template, Free Blank Commercial Invoicing Template, and Commercial Invoicing Sample with Colorful Business Name. 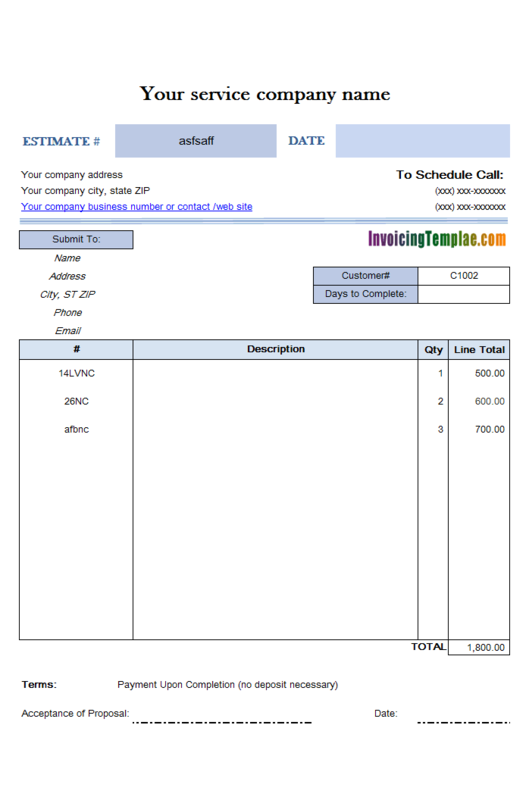 There are also other pre-made commercial invoice. 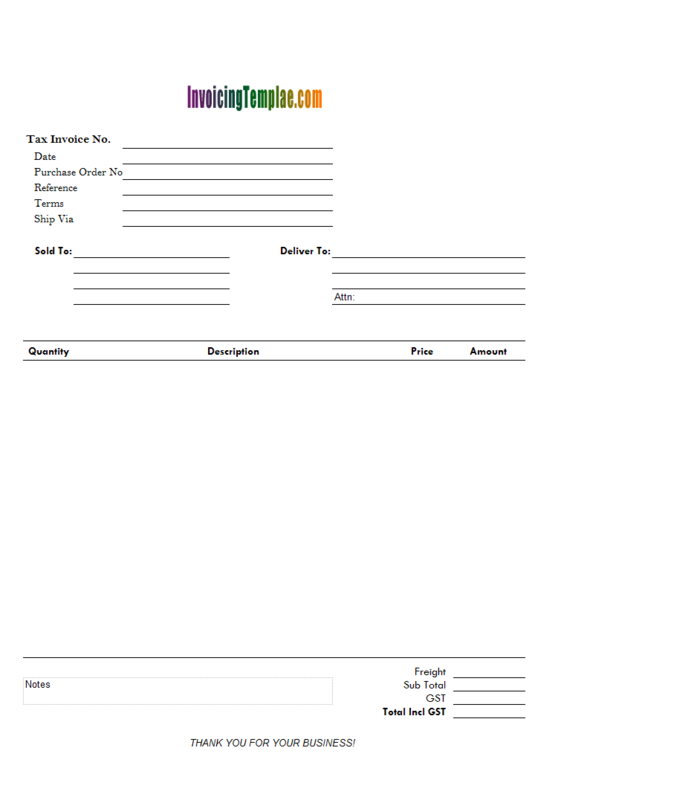 Numerous websites offer free, pre-made commercial invoice forms that can be printed and filled out manually. Some good examples include the aligned invoice by the United Nations Economic Commission for Europe, and examples by international shipping companies like FedEx and UPS. 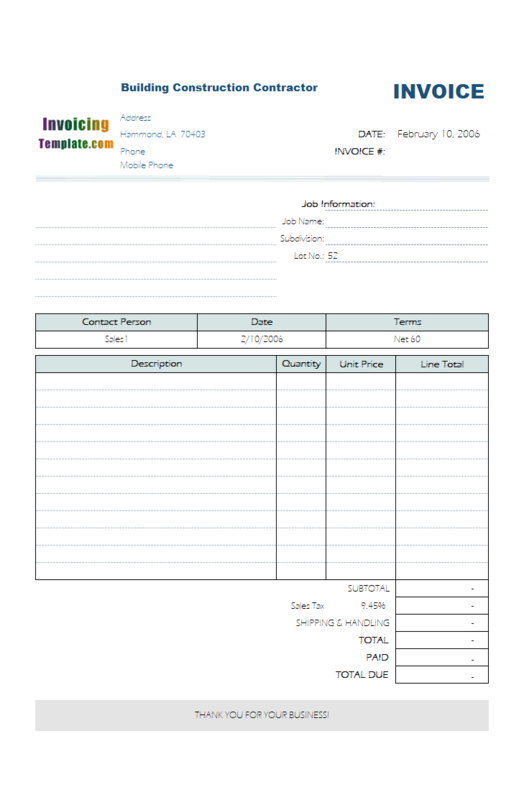 On the bottom of the form, you'll find the usual "Subtotal", "Discount" and "Total" fields. 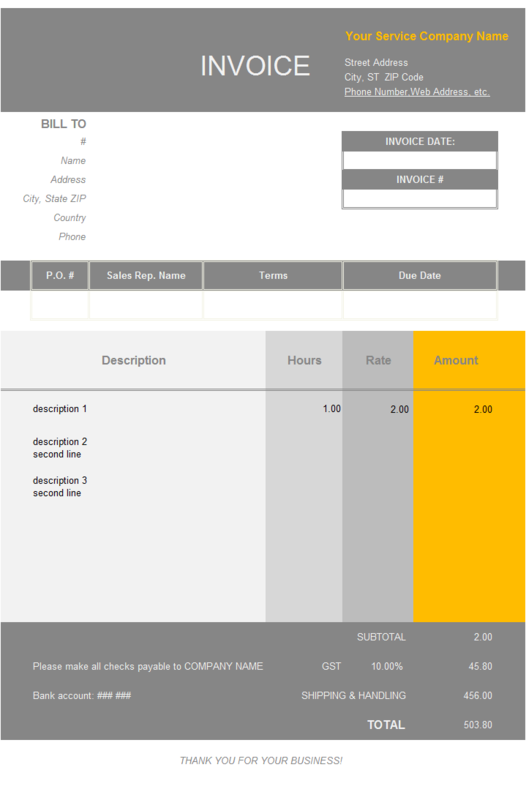 There is also the "Last Balance" field and the "Total Due" cell. 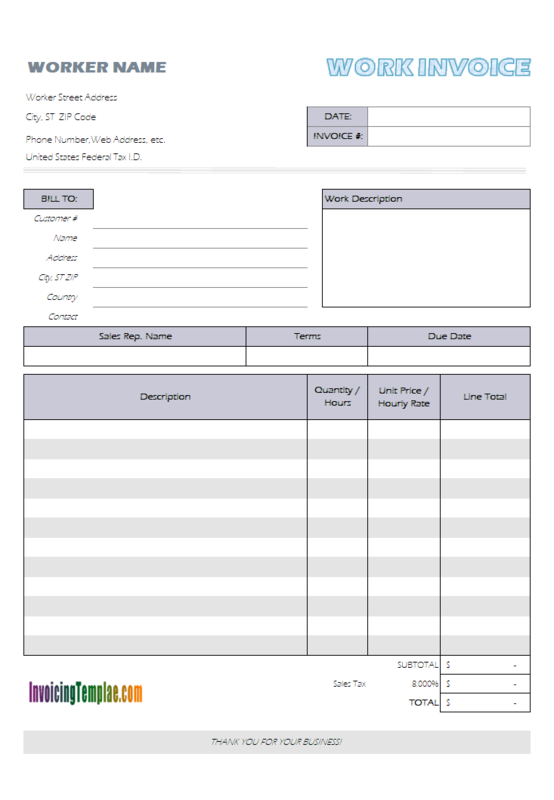 The "Last Balance" cell has its field name set to "oknAccountBalance", which is filled whenever you fill in the quotation form / estimation form with an existing client by using the on-sheet picker button, you by enter the client# into the "Customer#" cell (also located outside of the printable quotation form, at $U$2). 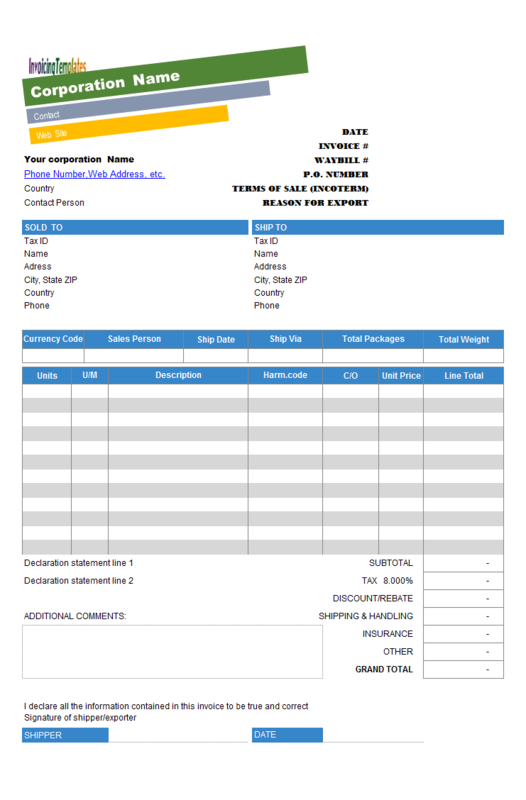 See Invoice with Previous Balance (Sales) and Invoice with Previous Balance (Service) for more information on how to show previous balance on the form. The "Total Due" is the sum of the previous account balance and the total of the current quotation. 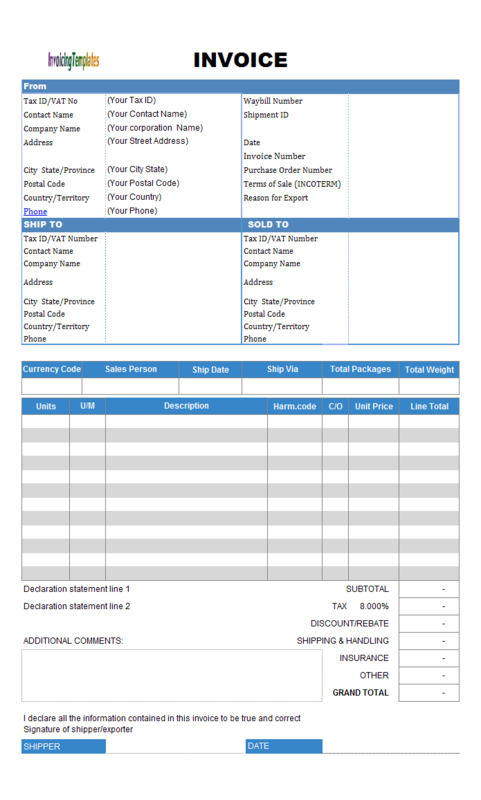 However before using the commercial invoice template to create your first commercial invoice, there are some one-time job you should do, that is to enter your own company information and replace the default logo image. 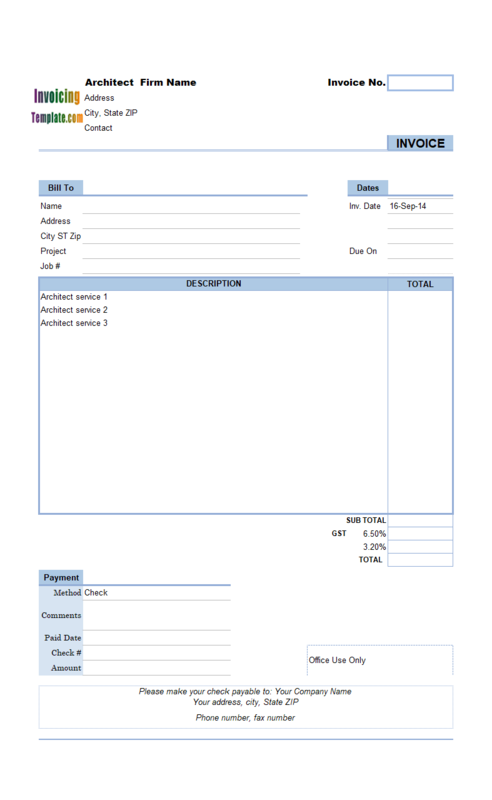 Before you can do this type of customization, you have to firstly unprotect the invoice form, and then switch to design mode. 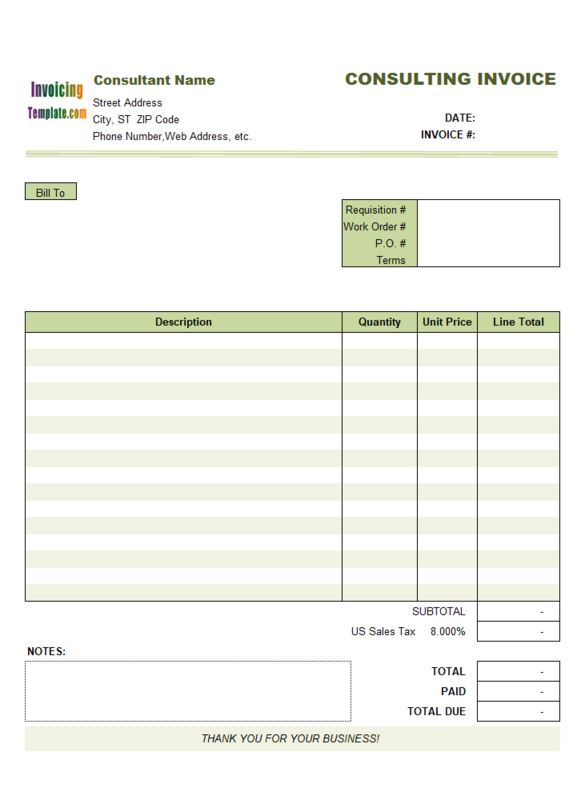 Excel Payment Voucher Template is a editable sample voucher template created from Payment Voucher Template (Golden Shop). 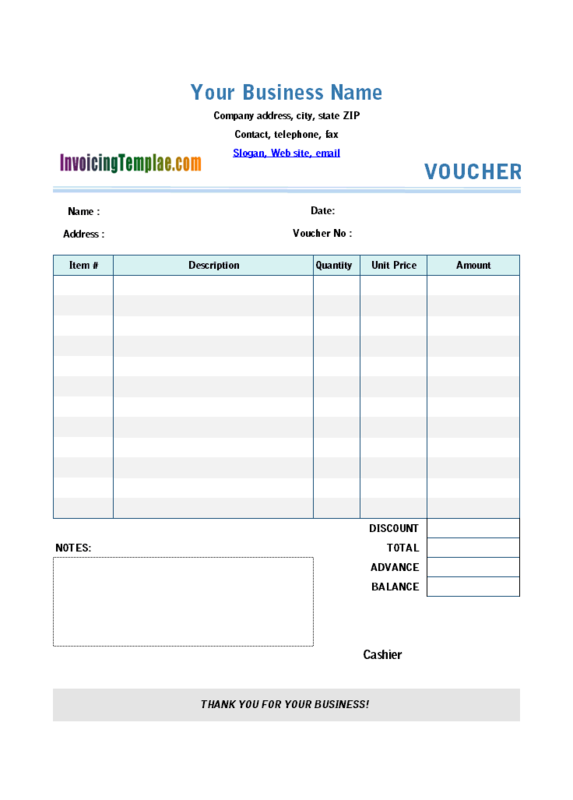 It differs from the original voucher template in that this sample Excel voucher template is suitable for general business. Due to this difference, it is important to clearly identify the document type on the header - whether it is a quote or an estimate. It is also useful, at least in some business areas, to include an expiry date on the document, if your prices are subject to change on the time. In this sample, we added it as a custom field "ExpiryDate". This field is defined as "text (100)" in the backend Access database, and the corresponding cell is named "oknExpiryDate" on the top quote form. 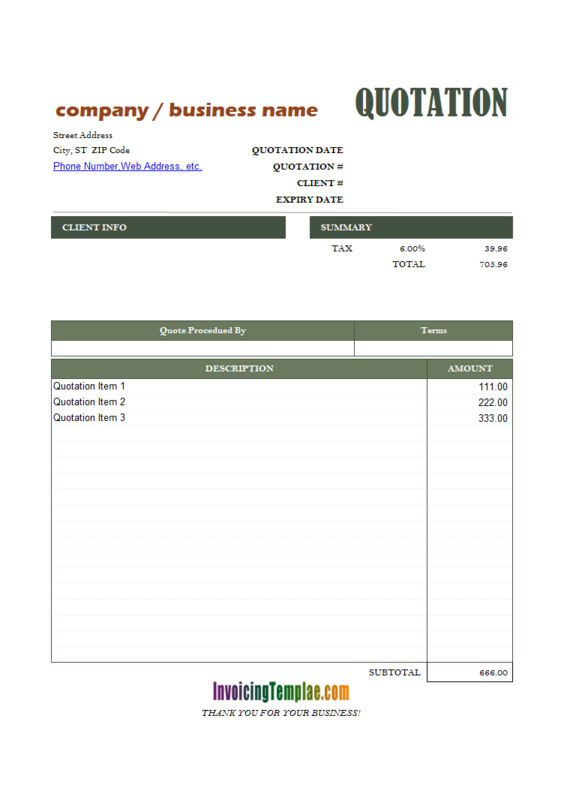 With Invoice Manager for Excel (namely Uniform Invoice Software), the auto-generation of invoice# (in this case, estimate# or quote#) is based on a counter stored in the backend Access database. Secondly, the receipt should include the donor's name, this is necessary in order to be legally valid. 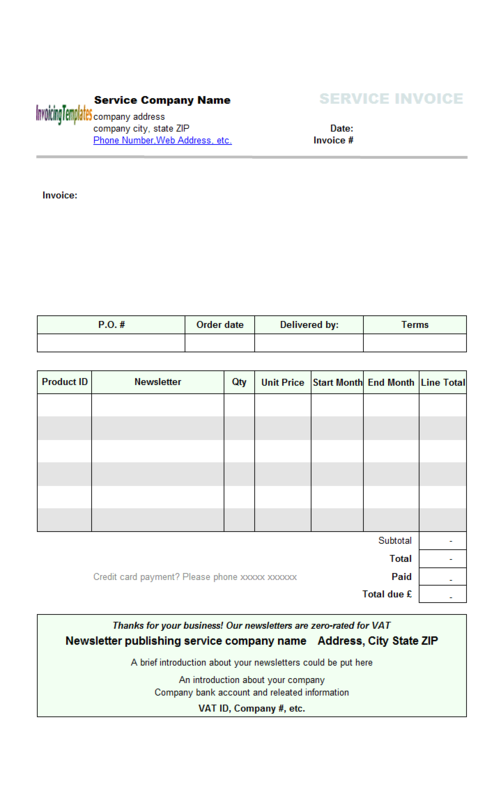 Although not required, we've placed the "Phone#", "Mobile#" fields on the top of the section outside the printable area. In case you want to include these information on the PDF donation receipt or printed receipt, you can easily move them into the "Donor" section. 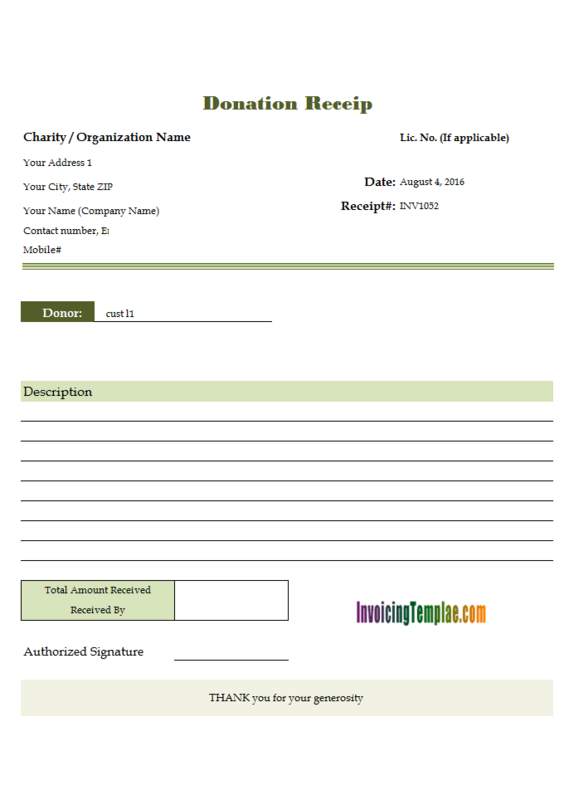 The receipt must also declare whether the donor received goods in return for the donation. To move out the address section, we first need to put the template into design mode. 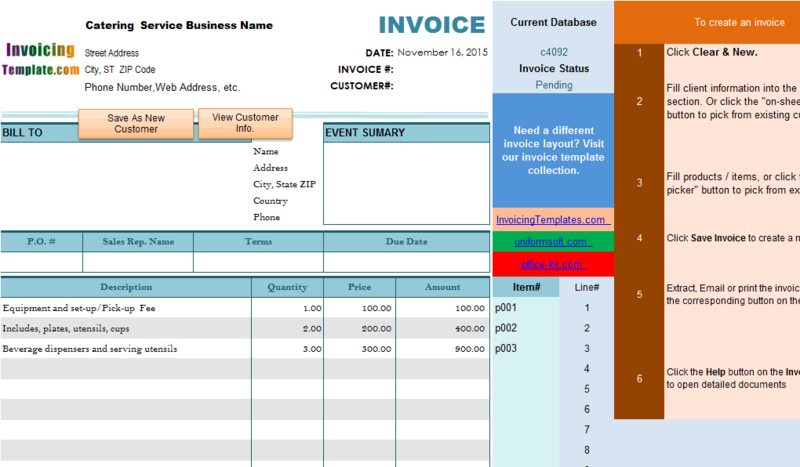 To do this, simply push down the "Design Mode" button on the "Invoice" ribbon tab. This commands unprotect the sheet and then push down the "Design" button on the "Developer" ribbon tab.